... no matter where you're starting out! Your enrollment comes with GrantsMagic U's 100% No-Risk Peace of Mind money-back guarantee ... making this a commitment you can feel 100% confident about! The virtual classroom opens on February 25 with Session 1 ... with a new watch-anytime session released every Monday through April 15. Enroll 2 additional team members for free with one paid registration - that's 3 enrollments for the price of 1! pay just $197 - a saving of $100! You'll have access to the full course materials any time you want ... forever! QUESTIONS? Email Maryn directly at Support@GrantsMagic.org. At GrantsMagic U, we love teamwork. We teach it, preach it, practice it. And we think it should be celebrated and rewarded. So to clinch the deal, here’s an offer you absolutely will not find anywhere else. For the price of a single paid registration, you can enroll up to 2 additional team members - at no additional cost. That’s right! That’s 3 full enrollments for the price of 1. Your team members can be co-workers, volunteers, board members, even community partners - it's entirely up to you. And every team member will have a full enrollment; will be able to take the course on their own, at their own pace and on their own schedule - and will earn their own keepsake Certificate of Completion. NOTE: You'll get an email with details on how to enroll your team members shortly after you complete your paid enrollment. 3 enrollments for the price of 1! Read Liela's complete story here. Tell me something. Are you a person of passion ... committed to creating change in the world through your work in the nonprofit community? 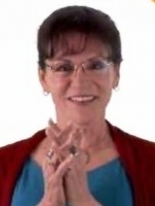 Hi, Maryn Boess here - long-time grants pro and founder/chief magic-maker of GrantsMagic U. And believe me, I get it. I know what it's like. You care deeply about the life-changing work your nonprofit is bringing to the world. It's vital that you find funding to support that work in the highest, most authentic, most mission-driven way. I know how much you want to be more successful in your grantseeking ... how much it means to you both professionally and personally. wondering how you can do better tomorrow. I get it - because I've been there - right where you are now. And that’s why I’m so excited to tell you about The Ultimate Grant Proposal Blueprint – the revolutionary 8-session online course from GrantsMagic U that can take your grants success to the next level ... no matter where you're starting out. 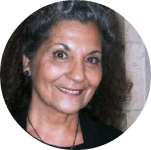 Read Barbara's complete story here. Reality check: How many of these common grants "war stories" do you relate to? You feel helpless and at a complete loss for what to do when a grantmaker’s guidelines consist only of the single sentence: “In two pages, tell us whatever you think we should know about your request.” What do they really want? And how the heck do you make sure they get it? Here you are – again! -- pulling an all-nighter cranking out a full proposal, from absolute zero to out-the-door, against a ridiculously tight deadline. Worst of all, after all this mad scramble to get it done you have the sinking feeling the proposal's not as good as it could be – or should be. Budgeting isn't your strong suit. You're struggling with Funder A's budget form ... which looks nothing like what you struggled through last week for Funder A. You’re confused, frustrated. And you’re afraid you’re making mistakes - maybe even missing something mission-critical. About that Funder A/Funder B thing . . . Does every single grantmaker really have to have their own quirky, murky proposal guidelines and requirements? Don’t they know how hard it is for us when we have to start from scratch each time we to work on a proposal for a different grantmaker? What the #$%@& is a logic model anyway? And how the heck do you put a logic model together for Funder A, B and XYZ when they never use the same language and you’re tearing your hair out trying to decipher the difference between “outcomes,” “objectives,” “purpose” and “goals”? The Ultimate Grant Proposal Blueprint gives you a unique behind-the-scenes, "VIP" insider's perspective you just won't get anywhere else. ... and being in conversation with my fellow grantmakers across the country about their work and how they do it. In other words, I know what goes on "behind the scenes" in the grantmaker's world ... because that's my world too. And in this course I hand you a VIP pass, pull back the curtains, take you backstage - and show you everything! Your biggest takeaways from the course? You'll learn how to build a solid, fundable proposal from the inside out and the bottom up - every time. You'll develop x-ray vision into the underlying anatomy of all grant proposals - so you'll never again wonder what a grantmaker is really asking for, or how to deliver it. You'll work with a unique set of tried-and-tested planning tools, worksheets, roadmaps, checklists, and step-by-step, fill-in-the-blanks templates to make your proposals clear, concise, complete, coherent - and compelling. You'll learn literally hundreds of invaluable "insider's tips" from grantmakers and successful grantseeking organizations that you can put to work right away - to give your proposals the winning edge. And you'll learn how to organize the details of your work in a way guaranteed to take you to the next level of grantseeking success - no matter where you're starting out. You'll be challenged to think in a whole new way. But it's important work ... mission-critical work. you and your team "do" grants. And - I promise - we'll have a ton of fun doing it! You’ll get 8 weekly online, anytime, anywhere video training sessions of about 2 hours each, carefully sequenced to guide you step by step and section by section through what it takes to build an A+ grant proposal - every single time. You’ll get a detailed week-by-week printable workbook and resource guide to follow along with as you watch the videos . . . and to keep at your desktop in the months ahead as an at-your-fingertips reference. You’ll get nearly 100 planning guides, checklists and step-by-step, fill-in-the-blanks templates to help you capture, organize, and articulate your good thinking - in digital form - that you can save to your own computer and use again . . . and again . . . and again . . .
You’ll get lots of real-life samples of "what works" - what wins grants - that you can borrow, virtually word for word, for your own projects. You’ll get three live group Q&A sessions with me, where you can get on-the-ground answers to all your questions about grants, grantseeking, grantmaking . . . you name it. And you’ll get my ongoing personal support, via an "Ask Anything" Facebook community page, to help make sure you're on track for a successful experience inside the course - and beyond. Plus other surprises, bonuses, and special gifts that I haven’t even thought of yet! The 8-session course is divided into three parts. Each week you’ll get access to a new, 2-hour video-based training, plus detailed handouts and resource materials for you to download, print, and save to your computer. This first session is all about meeting you right where you are – wherever you’re starting out - and getting you ramped up and ready for the journey ahead. We begin by “packing your travel bag” – getting you grounded in the powerful concepts and paradigms we’ll be exploring together – the very big big-picture thinking at the heart of The Ultimate Grant Proposal Blueprint. Also in Session 1, you’ll get your first look at the framework we’ll be working with throughout the course. You’ll take a high flyover of our Blueprint territory and start exploring the key tools, processes, and ideas that’ll support you on your journey. Over these six sessions you’ll be taking a deep dive, one at a time, into each of the key sections of your Ultimate Grant Proposal Blueprint – each of the Essential Planning Questions. Building on the framework we laid out in Part A, you’ll work with checklists, planning tools, formulas, and fill-in-the-blanks templates that guide you step by step through exactly how to shape the details that bring your project to life and create a clear, compelling proposal. Session 2 (Mar. 4): What's the Problem? - Crafting a Statement of Issue, Need, or Opportunity that's Clear, Compelling - and Completely Irresistible. We begin by laying the foundation for our entire proposal with the statement of need or opportunity - what I call "the engine of the proposal." We'll meet Grumpy Grantmaker - and you'll learn three words that can quickly take you into the deepest, most compelling, most motivating heart of the issue - what really matters most. Session 3 (Mar. 11): Impact Outcomes: Where Do We Want to End Up? or, Let's Visit Emerald City! Session 4 (Mar. 18): Work Plan/Partnership: ... How Will We Get from Where We Are to Where We Want to Be? When it comes to building that bridge to our positive future, the key is making sure nothing gets left out. We'll work with tools that help you and your team frame out your work plan, step by step. You'll also learn why I call partnership "the greatest amplifier and accelerator of your grants success" ... and how to make it work for your community. Session 5 (Mar. 25): The Essential Evaluation Toolkit: How Are We Doing . . . and Why Does It Matter, Anyway? Session 6 (Apr. 1): Building an Unbreakable Project Budget - Guaranteed! Here I’ll introduce you to the ground-breaking concept of “The Total-Value Budget.” We'll also do a complete, step-by-step walk-through of budget-building using one of the Blueprint's most powerful planning tools. I promise, you’ll never think of budgeting the same way again. Session 7 (Apr. 8): The Summary – What’s This All About – Quickly? – and The Credibility Statement: Who Are We and Why Should Anyone Trust Us? In our final week of Part B we circle back to our last two proposal sections. We'll look at how to "muscle up" the summary for the hard work it needs to do. And we'll explore exactly what grantmakers want - and need - to see in your proposal's organizational background or credibility statement, and why. This final session covers how to transform your Ultimate Grant Proposal Blueprint into an A+ proposal that matches the requirements of any given funder. We’ll cover the elements of good writing; what to think about when making formatting decisions; how to “read” an RFP; things to think about when working with an online proposal submission; and much, much more. Read Wayne's complete story here. Your success matters to me . . .
because what you do matters to the world. So although you're ultimately responsible for how much you gain from this course, and how effectively you apply it in your nonprofit work, I want to do everything I can to help you succeed - in the course and in the future. 1. Three live Q&A conference calls with me - exclusively for Blueprint students! As part of your course, you're invited to take part in three live conference-call Q&A sessions with me, where you and your fellow students can get on-the-ground answers to all your questions about grants, grantseeking, grantmaking . . . you name it. After the conclusion of the course - to catch any remaining questions you might have about our work together. Plus . . . You become a lifetime member of the GrantsMagic U Community Facebook Page . . . where you can ask me anything, anytime! As a graduate of The Ultimate Grant Proposal Blueprint course you'll have lifetime access to an exclusive Facebook forum for the GrantsMagic U community - where you and your fellow grads can share your questions, challenges, successes and lessons learned with each other - and where I can check in and answer questions too - in a real-time, real-world framework. In this 90-minute video training we’ll pull back the curtain on the realities of life as a grantmaker – and what your proposal is really up against “on the other side.” You'll learn what grantmakers love, what makes them grumpy—and how you can be sure you're delivering what they really, really want most of all in the whole world, every time! "Maryn, I don't know ... Is The Blueprint course right for me? You see, I'm ..."
"I'm a do-it-all executive director with a thousand things on my plate, trying to figure out how to fit grantwriting in ... I've been fairly successful so far but it's always a struggle. It's taking up a huge amount of my time ... and it doesn't seem to be getting any easier. I can't help wondering: Isn't there some way to cut through all the confusion and make sense of the process?" 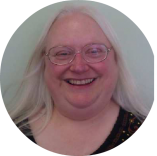 "I'm a devoted board member who volunteered to head up the grants role until we can afford to hire fundraising staff. I'm a savvy professional in my own career field but I've never done grantwriting before. And I'm wondering: Is there something that can give me a jumpstart on leading my team's grantseeking strategically and successfully?" 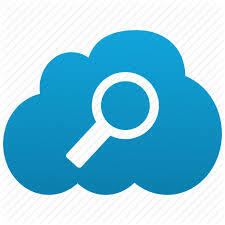 "I'm a complete newbie to grantseeking. I've never done this before ... and yet here I am, with a great idea that I (or someone I work with) would love to turn into something real, valuable and tangible in the world ... into a great grant-funded project. I want to do well - and I'm wondering: Where do I even begin?" "I'm a seasoned grants veteran, with a lot of success - so I don't need a 'Grantwriting 101'-type course. I've stopped counting the number of grants I've won. And I really appreciate the value of short-cuts, planning guides, and other people's good thinking. What I'm wondering is: What's new out there that might help me do what I already do well even better - that might give my proposals an even sharper, clearer, more powerful 'winning edge'?" "I'm an independent grants consultant. I work for myself - which means I work for all my clients, all at the same time. They're super-busy and it's a challenge to get them to give me the basic information I need to write good grant proposals on their behalf. I'm wondering: What if there were a simple proposal framework I could lead them through to help them understand the whole process ... and get clear on the information we need to build a solid proposal?" Read Darshan's complete story here. IF you're ready to think differently about your place in the grants world and put your new way of thinking to work on behalf of the causes you care about. You have good ideas ... ideas that can make a big difference in your community, in the world. And you want to turn those ideas into great grant-funded programs. That's the "magic" of healthy, sustainable, successful grantseeking. And that's exactly where The Ultimate Grant Proposal Blueprint comes in ... by giving you a meet-you-right-where-you-are, instantly actionable step-by-step roadmap - a blueprint - to help you capture, clarify, crystallize, and communicate your very best thinking about the change you want to create in the world, and how you envision doing it. You can spend years like I did, struggling to learn - by trial and error - what I now teach in the Blueprint. You can let me “ramp you up” – quickly, and with a lot less stress and a lot more confidence - by sharing with you only what I know works – what you can put to work for your organization right now – and start seeing success right away. How fast is "right away"? Jeannie and Trey, a married couple from a rural community in Arizona, came to a live two-day version of the "Blueprint" training hoping to get some tips for helping their children’s school. They were so fired up by what they learned that they stayed over for the weekend, shut themselves away in the hotel room, wrote a proposal for a Federal grant, got their school superintendent’s approval to submit it, sent it off that Wednesday . . . and won a Federal Drug-Free Schools grant of $110,000. They had never written a grant before. And until our workshop, they didn’t even know they'd be writing this one. Since then, Jeannie and Trey have gone on to win hundreds of thousands more in grant awards for their children's school district. Five days from novice to completed proposal - and a $110,000 award. Not a bad return on an investment of 16 training hours! Two special offers that can bring your total investment down to as little as $167 - for three enrollments! GrantsMagic U and our partners are proud to make The Ultimate Grant Proposal Blueprint - the entire course, along with everything we've just reviewed here - available to you right now for an investment of just $297. TANO - the Texas Assn. of Nonprofit Organizations – the sector-wide voice for all nonprofits across the state - has chosen to partner with GrantsMagic U in launching The Ultimate Grant Proposal Blueprint. By special arrangement, if your nonprofit is already a member of TANO (or becomes one), your membership automatically qualifies you to save $100 on your registration. That means that, as a member you pay just $197 – that’s $100, off the top, just for being a TANO member. This super-special price is available only to member nonprofits. You'll find all the details when you click any of the red "SHOW ME HOW TO SAVE $100!" buttons on this page - including how your nonprofit can join if it isn't already a member. Because hey! the $100 you save on your Blueprint registration alone covers membership for an entire year - and then some! At GrantsMagic U, we love teamwork. We teach it, preach it, practice it. And we think it should be celebrated and rewarded. So to clinch the deal, here’s an offer you absolutely will not find anywhere else. For the price of a single paid registration, you can enroll up to 2 team members - at no additional cost. Then after the program, just meet a few simple verification requirements, and GrantsMagic U will rebate $10 for each person on your team who has viewed all 8 sessions – up to $30 total. That’s right! That’s 3 enrollments for the price of 1 - and up to $30 back, from your registration price. Not only does GrantsMagic U not charge you more for bringing a team together around the Blueprint training ... we pay you back! 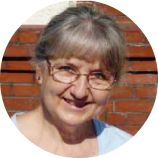 Read Susan's complete story here. I understand. When you're working with a nonprofit budget, even a small investment can feel risky and maybe even a little scary - no matter the potential return. I absolutely do not want anything to stand between you and the value I know The Ultimate Grant Proposal Blueprint course can deliver for you and your team. And that's exactly why your enrollment comes with my personal, 100% No-Risk, Peace of Mind Guarantee. Watch all 8 videos – take the entire program – then put what you learn to the test for your cause, with your team, in your community, for at least 60 days. If at any time after 60 days you decide the Blueprint isn’t worth what you paid for it, just email me at Support@GrantsMagic.org, tell me why, and give me a chance to make it right for you. If I can’t, I’ll personally refund every penny, right away. How about a quick recap? First, you get the full 8-session online course, including eight 2-hour video sessions that you and your team can view on your own schedule; all the handouts; and your session-by-session course workbook-slash-resource guide that you’ll turn to again and again in the months and years to come. And you get lifetime access to all the course materials – any time, anywhere. You get 3 live group Q&A calls with me – exclusively for Blueprint students – two during the course and one after the course wraps up. You get lifetime membership in GrantsMagic U’s exclusive “Ask Anything” Facebook community, where you can share with your fellow grads and ask me – well – anything! Enroll as a member of the Texas Assn. of Nonprofit Organizations, and you’ll save another $100 – bringing your cost down to just $197 for everything. Remember, you can enroll an additional 2 team members at no additional cost - and you can get a team rebate of up to $30 back on your registration. And most important, you get my personal 100%, No-Risk, Peace of Mind Guarantee that promises every penny back if you don’t think the Ultimate Grant Proposal Blueprint lives up to its promise as being one of the best investments you’ve ever made. "Your 'Blueprint' course is so good it made me want to cry ..."
I just came across your 'Grant Proposal Blueprint' (webinar session). It is so good it made me want to cry. Out of all the books and seminars and workshops I have attended, your Blueprint, in the first 90 minutes, succinctly outlines what organizations need to do to be successful with foundations. Five stars for the Blueprint! Maryn covers EVERY aspect of a proposal -- from digging more deeply to create a mission statement to producing a proposal that clearly details an organization's purpose and necessity. I came away with many tools and insights that have enabled me to provide more value to my clients. Included in the course are Q&A group conference calls that answer any questions we might have. Even though I've completed the course, Maryn has made sure that I and other "graduates" are still connected to the program. We are encouraged to contact her any time with questions. Top-notch grants education! This course was AMAZING. As a self-paced, online course with live support (online, phone, and bi-weekly call-in opportunities) this course gave me a much greater insight into why my proposals have and have not been funded. AND it gave me concrete ways to review/revise those proposals for the future. I learned more in the first 90 minutes with you than I've learned in two-day grant proposal writing seminars. The course is thoughtful as well as practical and requires a commitment to DO SOMETHING after every one of the eight lessons. 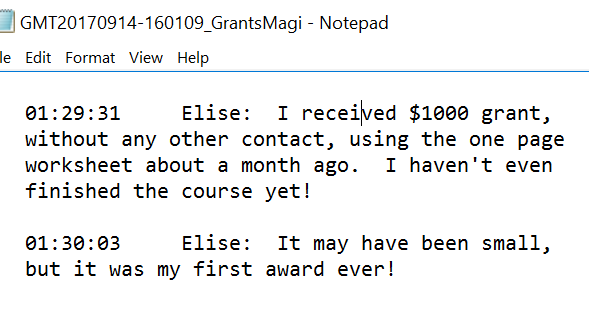 ... To the serious student of mission-centered grant writing (the only consistently successful grant writing), the course is worth every penny of the tuition price. I have attended other grant workshops in the past, and I can say unequivocally that The Ultimate Grant Proposal Blueprint was the most comprehensive, useful, worthwhile class I've ever taken. The skills and resources that I took away have already helped me write three proposals, and I'm optimistic they will succeed. There is much information here that carries beyond grant writing to nonprofit planning and management. 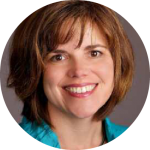 Maryn's style is friendly and engaging; she really knows the grant writing world from both the funder's and the fund seeker's perspective. I was fortunate enough to participate in your first session ('The Power of Mission-Centered Grantsmanship') last week. . . . I was so excited to see that you really stuck to your goal of providing information for veteran grant writers (as well as novices), allowing us to deepen our existing experience of grant writing. I feel like I have a whole new way of looking at the grant process already, after only one session!! What you do matters to the world. Over her 20+-year career in the nonprofit world, Maryn has been an on-staff program developer and grantwriter; a independent grants consultant (winning more than $42 million for her clients over 10 years); a grants project manager; a grants trainer; a grants reviewer, author, speaker, mentor and coach; and - for the past 10 years - even a grantmaker. GrantsMagic U, launched in fall 2015, is the "virtual academy" she created to make her extensive portfolio of grantsmanship trainings available (and affordable!) for anyone, anytime, anywhere. GrantsMagic U is an Approved Continuing Education Provider for both the Grant Professionals Certification (GPC) and Certified Fund-Raising Executive (CFRE) credentials. 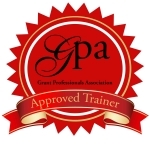 GrantsMagic U is also one of only 14 "Approved Trainers" for the Grant Professionals Association. Email Maryn directly at Support@GrantsMagic.org. So that’s it, my friend. Are you ready to take this journey with me? I sincerely hope your answer is yes. I have been so very blessed to work with and serve so many remarkable, gifted, and caring people in the nonprofit world . . . and I would be deeply honored to serve you and be a member of your success team too. If you say yes, you can be sure I’ll be right there with you, every step of the way, with field-tested, expert guidance, examples, stories, encouragement and inspiration to keep you moving forward, with confidence. You see, your success really does matter to me. If you do too, then let’s do this – together.